Buyer’s buy homes with emotion. In order to institute a little logic into the equation, they hire a home inspector to advise them on the items that are not in normal working order. It does not include cosmetic or decorative items. Last year our contracts in Oklahoma changed some of the verbiage, by removing a repair cap. Up until this change, a buyer would list a dollar amount that the seller agreed to repair up to at time of contract. Now there is no dollar amount. The contract leaves the buyer and seller to determine what they will repair or replace after inspection. This is sometimes called a second negotiation. Since the elimination of the repair cap, I have advised my buyers that this is an “as is” contract. What you see is what you get. Now don’t be scared. We are still going to do inspections. We are going to see what is not functioning in the property and then we will ask the seller to make those repairs–these repairs might include roof, foundation, heat and air, electric, and plumbing. I do not believe the intension of the inspection was to have the seller repair maintenance items like chalking, fence latches and alike. In addition, I do not necessarily think that it is in the best interest of the buyer to ask the seller to repair every nickel and dime item on the inspection report, since the seller is not obligated to make any repairs. 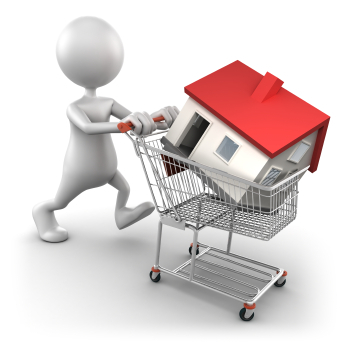 On the other hand, the seller needs to disclose any known defects once they are learned to any and all buyers. If defects requiring major repair costs are learned such as a foundation concern or a roofing issue, the seller would be wise to remedy this issue. Buyers will either want large repairs corrected or a considerable adjustment in price to adjust for the defect. Inspections are for the knowledge of the buyer as to what they are buying. There is no pass or fail. If buyer and seller cannot agree on the repairs requested, the contract will bust. The buyer will still have to pay the home inspector. If you are considering buying or selling a home, my team would love to help you. Please contact me at 405-213-2992. Many years ago before I became a licensed real estate agent, my husband and I bought our first home. Over the years, I have thought about the agent who sold us that home. I would like to share the letter of gratitude that I am putting in the mail to her. I don’t know if you will remember my husband and myself. You helped us purchase our first home more than 23 years ago. While I cannot remember how we met, I do remember you taking the time to help us get our credit in line so we could purchase a home. You took us to various homes to view. We finally found a house listed in the paper and asked you to meet us there. It was a VA repo and needed work. We were young and excited to make this house our own. The house was part of a program where they would lend you additional money to repair the house. We closed on the house April 15, 1992. I was pregnant and due in August. We had 2 months to complete the repairs and move into our new home. We worked so hard. I have lots of great memories from that time. We completed the repairs and moved into the house. My husband decided to re-up in the military. We were sure we would be staying in Omaha another 3 years. Unfortunately, by December of that same year, we received transfer papers to Oklahoma City. We were devastated. We didn’t know what to do. We wanted to call you and yet we didn’t. I am not sure why we didn’t call you back. I remember saying we needed someone aggressive to get the house sold quickly. I guess in our immaturity we didn’t equate kindness and trust with aggressiveness; and in all honesty, I think we were too young to know what we really wanted or needed. We were scared. We interviewed 3 realtors, choosing one that had a nice portfolio with letters from past clients. She listed our house with a 6 month listing agreement. We received an offer but we would have to bring money to the table to sell the house. We didn’t have any additional money to spare. My husband was an airman in the service. We just spent several months rehabbing the property and didn’t think it was fair to have to pay to get out of the house. The realtor was not kind. She tried to strong arm us into selling. We resisted and lost respect for her. I didn’t know how real estate worked, and was under the impression that if we decided to take the house off the market we would owe the commission. There was no way I was going to give that realtor my money. So we allowed showings to happen begrudgingly and told her that we would only sell for list price. In the meantime, my husband had to report for duty in Oklahoma City. I was left in Omaha attempting to sell the house with an infant. We finally ended up renting the property. We managed the house long distance—not knowing what else to do. We were blessed to have two sets of good tenants. Four years later, I was expecting my second child when the tenants called to inform us that they were moving. I told my husband I was tired of being an out of state landlord. He asked me what I wanted to do. I said I wanted to call Jan, the lady who sold us the house. I felt like you would help us and tell us exactly what we needed to do. And more importantly I trusted you. We called you and asked if you would help us. I also knew I needed to put carpet in the dining room. My husband is color blind and I wasn’t able to travel since I was a little more than a month away from delivering our second child. I didn’t know if you would go with him to the carpet store to help him chose the carpet, but I asked. You said, yes. After getting the carpet installed on a Wednesday, you put the sign in the front yard and had an offer on the house that Friday. We accepted the offer and closed on the house as the tenants were moving out. As I look back I realize I never questioned the amount of commission you charged me or the price you told me. I accepted it as fact. Why? Because I trusted you. I believed you had my best interest at heart and still to this day believe that—more than 18 years ago. I think this was the biggest difference between you and the other realtor. Although I am sure I said Thank you at the time, I don’t think your realize the impact you have had on my life. I have been a realtor for over 10 years now and I always think about trust when I think about how I am treating my clients. I think about what is best for them and how can I look out for them best. I always ask myself, if what I am doing is building trust and if not then what can I do differently to build that trust. The entire reason I chose to do business with you all those years ago is because I trusted you. Thank you for showing me all those years ago that the most important part of business is trust and caring. Central Park is coming to Moore, OK. The park sits on the corner of 4th and Broadway near the railroad tracks and runs south along Broadway. The park is 51 acres. It will house a 53,000 sqft recreational center and a 45,000 sqft aquatic center. In addition, there is a large amphitheater, a 2 mile long multipurpose trail, a playground (handicap accessible), and a farmers market. There will be approximately 350 parking spaces. This is a wonderful addition to the Moore landscape. It will provide the citizens of Moore as well as those from surrounding areas with a wonderful area to enjoy time with their families or by themselves. Moore has not had a pool in their town for several years, since the demolition of the pool at the 5th street Park. This new aquatics center replaces the old pool with a state of the art water park like pool. There is a lot of excitement regarding the pool that will be open summer of 2016. The city is providing a lot of services at this new park. There will be fees for the use of the recreational center as well as the aquatics center. The residences of Moore will receive a discounted rate on those fees about 20%. A Moore water bill will be required as proof of residency. The city will be selling day passes, season passes and annual passes. They will also have a 15 day pass that you can use as you want. So you can use it for 15 days in a row or over the season. They will have discounts for active duty military, families, and seniors. The city is currently selling annual passes. Stewart at the parks department told me today that they are giving a 13 month pass for the price of a 12 month pass if you purchase now, prior to the park opening. They are planning on having exercise classes like Yoga, Zumba, TRX, and Kick Boxing. The aquatics center with have swim lessons as well as allow pool parties. I am personally very excited to see this project come to fruition. I think it will provide the citizens of Moore with a great central meeting area for picnics and other entertainment. This is a very progressive step which will make our community shine. While we have several other great parks in the community, this park is in the heart of Moore and will become the central focal point for the community. Buying a home is often an emotional decision. The buyer enters the home and loves the smell of cookies, the staging, and the clean, move-in ready home. I have had buyers fall in love with a home because it had a 5 burner gas stove or a window seat in the master bedroom. I have also had buyers not buy a home because the bedroom was painted bright purple with pink poke a dots. You are spending thousands of dollars on a large long term asset that will hopefully increase in value over time. With that being said, I always advise my clients to stand on the front porch and look out as much as they look in. All the stuff on the inside—paint, flooring, appliances, etc., they can change. They cannot however force the neighbor to paint their purple house (unless they are part of an HOA) or get rid of the 6 cars that are always parked across the street. It pays to take into consideration things that are more important like drainage, the way the house sits on the land, noise, power lines, traffic, and the condition of the neighborhood—is it improving or degrading. In addition, a buyer should attempt to learn all they can about the house. Have there been insurance claims on the property, and if so has the work been completed? Has there been any work done on the house that required permits, if so were the permits properly pulled? How old is the roof, heat and air, and hot water tank? A buyer should always think about resellability. So many times I have had buyers tell me that they are purchasing their final home and they do not intend to move again only to call me back 5 or 6 years later and say they are ready to sell. Things change, people change, circumstances change. You may need to resell the home so look to make sure the house is not so unique or unusual that others will not fall in love with it also. As a seasoned agent, I tend to point out things that a buyer may over look. The buyer may decide that they love the house on the main street because they love to sit and watch the traffic in the morning. Or they may not care that the property requires flood insurance because the house backs up to the pond and has an amazing view. My job is to educate my buyers as best as possible about what they are buying and then they can make the best decision for themselves. A person’s debt to income ratio is the amount of debt a person (in monthly payments) has in relation to their monthly income. A lender will determine how much a person may borrow based on their debt to income ratios. Typically lenders like to see no more than a 45% debt to income ratio although they may be able to approve a loan with slightly higher ratios based on credit scores and loan product. Buyers who have student loan debt have been able to purchase a home and not count anything towards their debt to income ratios if the student loan is deferred. As of September 14, 2015, this rule has changed for buyers using a FHA loan. They will now need to count a payment for the deferred loan amount. Since there is no payment made on a deferred student loan, FHA has come up with their own formula for a payment. That is to take 2% of the total amount due on the loan and make that the monthly loan payment amount. This means that a borrower with a student loan debt of $20,000 would be assessed $400 a month in debt. 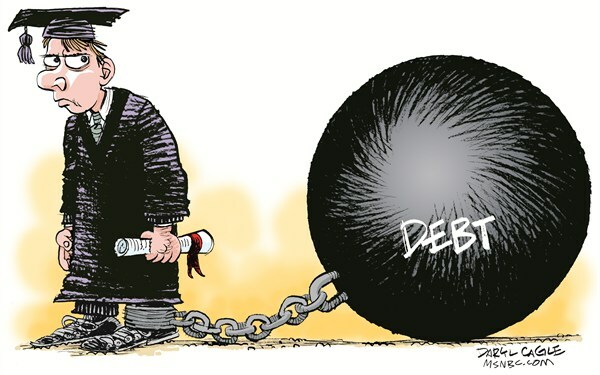 A person with $100,000 in student loan debt would be assessed $2000 a month in debt. This amount would be added to their other debts in equating their debt to income ratios. As you see this could cause a borrower who would have qualified under the old rules may no longer qualify under the new guidelines. Sometimes life throws you curveballs and you can either strike out or hit it out of the park. When it comes to bankruptcy, you do have a choice on how you respond to it and what you need to do after that happens. Here are a few tips and suggestions to get you on the right path. Chapter 7 bankruptcy is the complete forgiveness of debt, wiping the slate clean. If you file this type of bankruptcy, this is what to expect. Your credit scores will drop dramatically and the rebuilding process will need to begin. You will need to rebuild by reestablishing your credit. The best way to start that is by getting a secured credit card through a bank. A secured credit card is depositing money in a savings account, the bank would put a hold on those funds and issue a credit card with a credit limit of the amount they have on hold. Use the card on a monthly basis and this will begin the payment history on your credit report. Make sure the bank you establish this with reports to all 3 credit bureaus or it won”t have the impact your looking for. After this has been done, you should work towards establishing a 2nd credit card and possibly a small installment loan or an auto loan. There is no need to go overboard on the credit re establishment, no need to get into more debt than needed. Keep it simple, keep it small and the scores will go back up. You have a minimum of 2 years from the discharge date of the bankruptcy before you are eligible for an FHA or VA mortgage, 3 years with a Conventional mortgage. If a home is claimed in a bankruptcy, that is a whole new ball game and many things will need to happen and would need to be further discussed to see when eligibility is available for a new mortgage, call for more details concerning foreclosed homes included in bankruptcies. If you file a Chapter 13 bankruptcy, it’s a bit different then the above Chapter 7. This is a reorganization of debt and it’s paid out per court order in the bankruptcy documents. If you file this type of bankruptcy, than you need to wait 1 year from the filing date and receive permission from the trustee of the courts to be eligible for a new mortgage loan. You can also accomplish the same improvements to your credit scores as above because even though your repaying back the debt through the bankruptcy,, its still going to have a major negative impact on your credit score. Filing bankruptcy is not the end of the world if you’re willing to work on getting it back to good standing. Mortgages are credit score driven these days and if you don’t have the eligible scores, you won’t get approved for the mortgage. It’s a process but your scores will improve if you follow the simple instructions on re establishing your credit and you will be able to get a mortgage if you stick with it. Buyers are always looking to get the best deal on a house and they should. This is a large investment. However in our current market where inventory levels are low and interest rates are hovering at all-time lows while rental prices continue to increase, sellers are not discounting their properties. I talk with a lot of first time home buyers who want to offer 10% or less on a property hoping the seller will take it. This is just not realistic. Sometimes these buyers have to learn the hard way. They make a low offer only to learn a better offer came in and the seller has chosen the other offer. This can be very disheartening especially if you really thought that was your dream home. Buyers need to look at comparable homes (comps) in the area that have sold in the past 3-6 months. Based upon the size of the house, number of bedrooms and baths, and the amenities –granite counter tops, new flooring, storm shelter, etc determine if the value of the home is fair. They need to look at the location of the property and the neighborhood values overall not just the price per square foot. I always tell my clients nobody is really stealing anything in housing, what we want is a fair deal. Fair deals can and do happen every day by comparing comparable properties and making educated decisions. If you are continuously on the hunt for a “deal,” this could be a red flag that you are not ready to buy. If you need to purchase a car, you likely research car prices online before heading to the dealership. You understand that the values range, and attempt to get your car as close to the lower end of the range as possible. If not, you won’t be buying a car. Will you wait another year to see where prices are? Probably not. Instead, you make a car purchase based on the best deal you can negotiate at that time. The same goes with home buying. Buyers who spend considerable time learning the market will have experiential knowledge of what they can get for their money and where. They have a realistic view of the market. An experienced realtor will be able to guide the buyer in determining value. They may have knowledge about the community of upcoming developments that may impact values of certain areas. An example of a new park with community center being built that was discussed at a city planning meeting or a plan to widen a road that will impact the traffic. While realtors often have this type of information, I strongly suggest that the buyer do their due diligence to research and know what is going on in their community. This can make a huge difference when you go to sell.